Bethany Lopez: Christmas Interview with Me (Bethany Lopez) & Free book for my Bday! Christmas Interview with Me (Bethany Lopez) & Free book for my Bday! 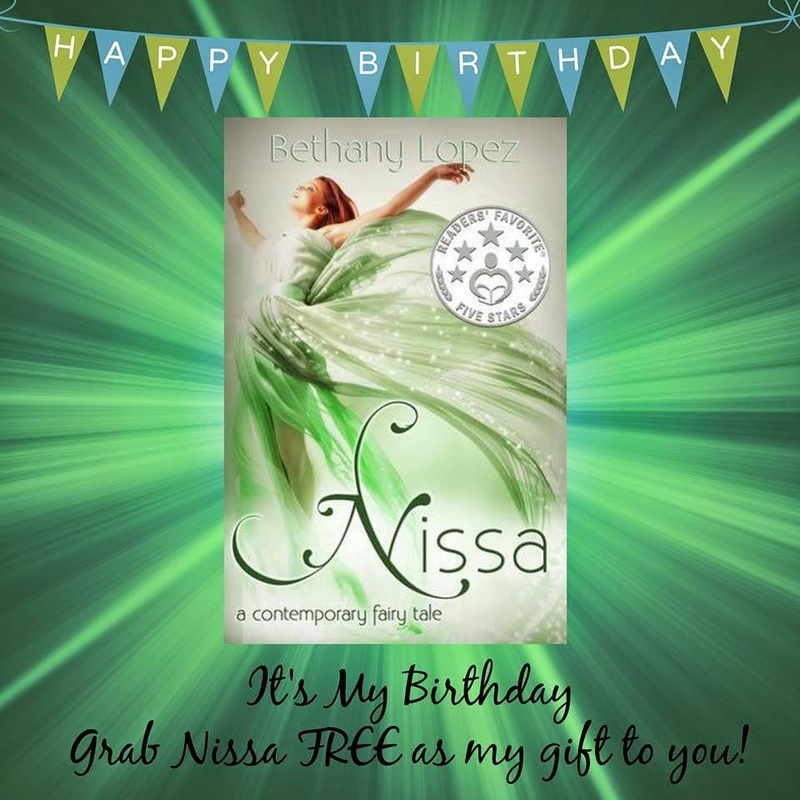 Nissa: a contemporary fairy tale. It will be ‪#‎FREE‬ today only. Now, on to the Interview!!! This is so hard, because I'm a big movie buff, and I LOVE so many holiday movies. Elf, The Santa Clause, Four Christmas's, Love Actually, The Family Stone, The Polar Express, and The Family Man, are just a few that I have to watch every year! Hmmmm… I came up with all of the hard questions, didn't I??? ;) This is another toughy, because there are a lot of kissable men out there. I'll have to go with Charlie Hunnam. Or, Michael Fassbender. Or, Henry Cavill. Or, Andrew Lincoln. I seem to have a thing for European Men! One of the best Christmas's I ever had was a couple years ago. We were stationed in South Carolina, away from everyone, but my husband's family flew out from California to stay with us. His parents, two of his sisters and two brothers-in-law. I planned menu's for the entire time they were here, we went to the lake and stayed in cabins for two days, and we spent a lot of time playing games and hanging out. It was so much fun, and really made the holiday special. My worst was probably last year. I was deployed and spent all of the holidays from Oct to Apr overseas. It was my first time not spending Christmas with my family and was really hard, which makes this year even more special! I love the baking, cooking, giving of presents… Wrapping, watching Christmas movies, listening to Christmas music, and being together with as much family as possible. I think my characters in the Friends & Lovers Trilogy really enjoy Christmas. Rich gave Roni a special present in Trust in Me, which was a turning point for them.